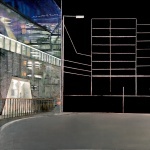 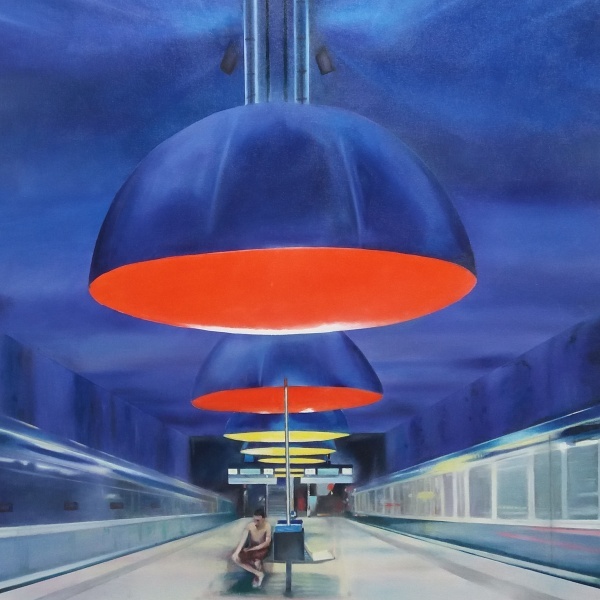 "To make this painting I worked from a photograph of the Munich subway station designed by Ingo Maurer. 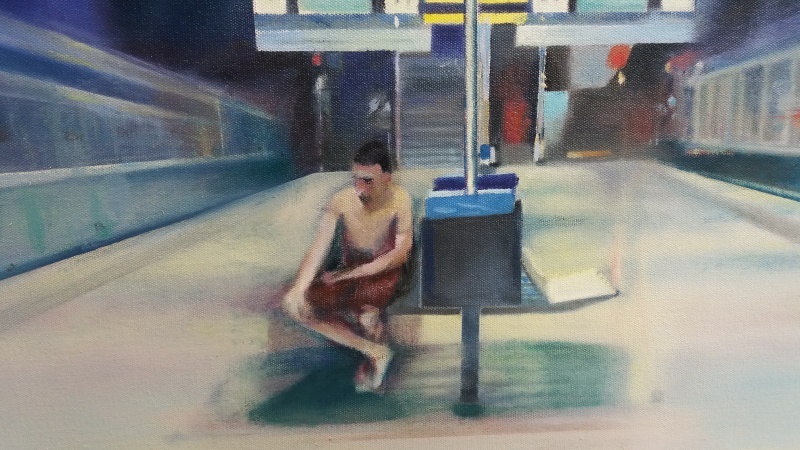 The figure is my own addition and is loosely based on an image I found in a newspaper. 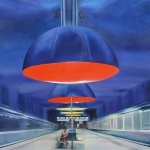 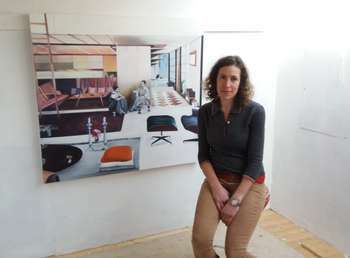 It is the second time I have been inspired to paint the famous train station."